Hackers broke into the Bangladesh central bank’s account at the Federal Reserve Bank of New York and succeeded in moving $100 million out of it before a spelling mistake tripped up their efforts. The episode already has claimed the job of Atiur Rahman, governor of the Bangladesh Bank, who resigned March 15. He had headed the bank for seven years and was planning to retire in September. The money the hackers succeeded in moving was reportedly transferred to accounts in Sri Lanka and the Philippines. Authorities in both Bangladesh and the Philippines are on the lookout for the cyber criminals, but it is unclear how much of the stolen money can be recovered. “Our investigators have been working for about two weeks to recover the stolen funds and we have been able to recover some of it with the help of authorities in Manila,” Muhammad Asaduzzaman, a spokesperson for the Bangladesh Bank, told the Wall Street Journal(paywall) last week. The Anti-Money Laundering Council in the Philippines is in the process of drafting charges against several people suspected of being involved in the theft. To date, there is no evidence of any attempt to penetrate Federal Reserve systems in connection with the payments in question, and there is no evidence that any Fed systems were compromised. The payment instructions in question were fully authenticated by the SWIFT messaging system in accordance with standard authentication protocols. The Fed has been working with the central bank since the incident occurred, and will continue to provide assistance as appropriate. After Chinese People’s Liberation Army (PLA) troops were spotted in forward posts along the Line of Control in PoK, sources in defence and security establishment back in India claim that the presence of Chinese troops has been so large and intrusive, it seems the Pakistan occupied Kashmir (PoK) has become China Occupied Kashmir (ChoK). Specially, more so this time Pakistan Army is working directly under the aegis of Chinese PLA right in PoK as China’s new counter terrorism law has been discretely amended to facilitate PLA troops deployment overseas. Recently, Pakistan Army has raised three additional brigades with artillery and attack helicopter support under a Special Security Division (SSD). Out of 12,000 troops in SSD, 4,000 belong to Special Service Group (SSG) trained in counter terrorism all meant to defend $46 billion China Pakistan Economic Corridor (CPEC) in active coherence and orders from Chinese People’s Liberation Army (PLA). After the news of deployment of Chinese troops in PoK widely reported in India, Chinese Foreign Ministry Spokesperson Lu Kang's shrugged off the presence of Chinese soldiers in PoK when specifically asked to confirm the reports in India, which said that PLA troops have also been spotted in Pakistan-administered Kashmir. “I have not heard of it”, replied Lu Kang. With the new development, it is pertinent to analyse if the status of PoK is being changed? What is the security significance of this? Are these Chinese workers or are they Chinese military personnel as reports indicated? asks Brigadier (Retd) Arun Sehgal, Director General, Forum for Strategic Initiative. According to defence experts, Chinese have larger designs with regards to PoK than India can even think of. Pakistan in November last year on orders of Chinese military leadership has changed security plan of China- Pakistan Economic Corridor (CPEC). Pakistan had upgraded three layered security cover to four layered security cover for over 3,000km-long trade route that will connect the Gwadar port to China’s north-western Xinjiang province, the fourth layer being added is that of Chinese People’s Liberation Army (PLA). CPEC Project Director Maj Gen (Retd) Zahir Shah in November 2015 claimed that 500 Chinese security personnel will be deployed in PoKfor capacity-building of the newly-raised special force as well as local police to better guard the sensitive routes surrounding the port. But it seems the number of Chinese troops has increased far beyond mere 500. Soon after this tacit understanding to deploy Chinese troops in PoK, China has amended it’s counter terrorism law and passed it in December 2015. 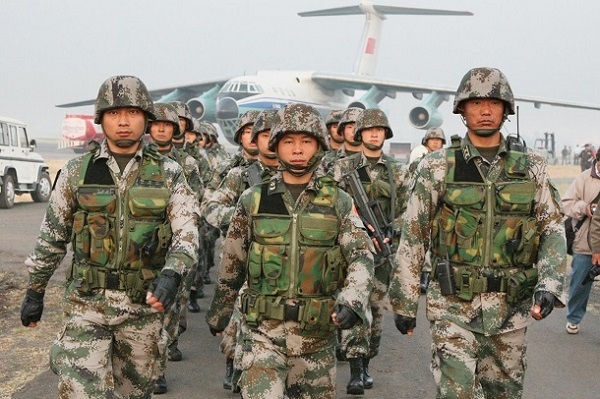 New anti-terror law permitted Chinese PLA soldiers to be deployed overseas. Article 71 under Chapter VII of new Chinese Counter Terrorism Law on International Cooperation says, “Upon reaching an agreement with relevant nations and reporting to the State Council for approval, the State Council Public Security Department and national security department may assign people to leave the country on counter-terrorism missions”. “The Chinese People's Liberation Army and Chinese People's armed police forces may assign people to leave the country on counter-terrorism missions as approved by the Central Military Commission”. From the point of view of inflation, the inflation numbers released yesterday (14 March) signals the triumph for monetary policy. But from the growth perspective, the WPI’s reluctance to emerge from its negative zone shows the deflationary pull dragging India Inc down. Overall, this is remarkable since this comes after two years of weak monsoons. The CPI is well below the Reserve Bank’s promised 6 percent target for January 2016. Now, Raghuram Rajan has no excuse whatsoever to keep Indian interest rates high. The inflation numbers released yesterday (14 March) can be seen as both positive and negative, depending on your perspective. From the point of view of inflation management, it should be seen as a triumph for monetary policy and fiscal and supply management. While the Consumer Prices Index (CPI) was down to 5.18 percent in February (from 5.69 percent in January), the Wholesale Prices Index (WPI) stayed negative for the 16th straight month in a row by clocking -0.91 percent. There is clearly no inflation monster on the loose. But if one looks at it from a growth perspective, the WPI’s reluctance to emerge from its negative zone shows the deflationary pull dragging India Inc down. Pricing power is low, and corporate profitability will thus remain under the weather, impacting business’ ability to invest for growth. Without a revival in the investment cycle, India can kiss goodbye to any smart rise in growth rates. There are several readings one can make from trends in the two price indices. First, and most obvious, is the CPI’s benign number, and its implications for interest rates. The CPI is well below the Reserve Bank’s promised 6 percent target for January 2016. The Consumer Food Price Index is even more encouraging, down to 5.3 percent in February from 6.85 percent in January. This is remarkable since this comes after two years of weak monsoons. The behaviour of CPI and CFPI, combined with Arun Jaitley’s decision to stick to the fiscal consolidation path, means that Reserve Bank Governor Raghuram Rajan has no excuse whatsoever to keep Indian interest rates high. In a world moving towards negative interest rates in some parts (Europe and Japan), and towards economic slowdown if not recession in some parts (US and China), India cannot be the lone holdout on the pricey money. The next monetary policy in April is sure to cut rates. A 0.5 percent cut is warranted. No modern democratic republic, that values ethics and equality, can or should tolerate a socio-political structure that confers almost total immunity to the judiciary. The last week saw some very significant developments in national governance and constitutional law. On 8 March, a three-judge bench of the Supreme Court, in WP (Civil) No. 536 of 2011 (Public Interest Foundation v Union of India), decided to refer to a Constitution Bench the issue of disqualifying legislators from Parliament or the state assemblies at the very stage when a trial court frames charges against them in a criminal case. The question that will now be decided by the Constitution Bench is whether disqualification of legislators facing criminal charges should wait till conviction takes place. Clearly, the apex court felt that this is a substantial question of law that must finally be settled. This is a development that must be welcomed by all Indians who are gravely concerned by the relentless criminalization of the country’s political framework. Two years ago, in March 2014, the apex court had passed an interim order that criminal trials of legislators, especially in matters that involved corruption and other serious offences, must be completed within a year. While these are welcome initiatives of the Supreme Court in this critical area, there are also major worries as to why the nation’s judicial system is not going through a similar churning. The higher judiciary is one of the three critical Constitutional pillars of the Indian Republic (the other two, of course, being the legislature and the executive). Moreover, for the first few decades after the promulgation of the Constitution, the judiciary was the least tainted of the three institutions that constitute our governance structure. The exception, of course, was the shameful interregnum of the Emergency (June 1975 to March 1977) when the Supreme Court did not cover itself with glory at all. However, in all fairness, the apex court partly redeemed itself after this dark period was over. The United States' strategy demands more of a pirouette than a pivot. In October 2011, then-U.S. Secretary of State Hillary Clinton penned an article for Foreign Policy magazine about America’s “pivot” to Asia. Since then, it has become commonplace to speak about the United States attempting to rebalance its resources away from the Middle East and Europe towards the Asia-Pacific region, and to refer to this specifically as “the pivot to Asia.” But Europe and the Middle East have not diminished in importance for the United States – if anything their importance has only increased. The U.S. is a global power. Its perspective is therefore global; it cannot pivot between interests. The main objective of U.S. grand strategy is to prevent the rise of a challenger to American power, and when the “pivot” is brought up, it is usually done in the context of the United States seeking to block China from assuming the mantle of the world’s next global power. We view this as a misunderstanding of geopolitics. China has neither the desire nor the capability to project that kind of power, and to develop such abilities would take decades. Chinese strategy is focused on strengthening its ability to resist a potential American attack or blockade – its development of ships, missiles, rockets and mines all point toward this goal. This is not to say that the U.S. is unconcerned with the Asia-Pacific region. This is one of the problems with thinking in terms of pivots – it suggests that the U.S. wasn’t already invested. Since its victory in the Spanish-American War in 1898, the U.S. has been deeply involved in Asia – fighting the Germans in the Pacific in WWI, the Japanese in WWII and separate wars in Korea and Vietnam. Today, the U.S. maintains alliances with many Asian countries, such as Japan, South Korea and Australia, in order to ensure that a balance of power, with the United States as the ultimate security guarantor, remains in place. Just two weeks ago on March 1, a U.S. aircraft carrier group arrived in the Philippine Sea to hold exercises with India and Japan – in case China needed a reminder of U.S. naval superiority. But none of America’s moves in Asia mean that the U.S. can withdraw from Europe or the Middle East. In terms of economic growth, East Asia may well be the world’s most dynamic region. But the combined GDP of the countries that make up the European Union is larger than any country’s GDP. According to 2014 International Monetary Fund figures, the EU’s GDP was over $18 trillion. That’s more than the United States – and it’s more than China, Japan and India combined. More important, however, is that the European Peninsula is the most strategically important area over which to hold influence in order to present the rise of a Eurasian hegemon. Europe emerged from World War II demoralized and critically wounded, but Europe is still the likeliest place for a potential challenger to U.S. hegemony to arise. The Middle East is undergoing drastic geopolitical change, and the impact is not restricted to within its geographical boundaries. The Afghanistan-Pakistan and South Asia regions are the first to feel the pressure from the events in the Middle East. This forces countries like Pakistan, that has been criticised for playing a dubious role in the War on Terror, to revisit some of its long and tightly held policies. First, the US opening up to Iran has put the Middle East in a state of diplomatic and geopolitical chaos, with Saudi Arabia, Iran and Israel coming to odds. The tensions are apparent in the proxy wars that are being fought in the region, with Saudi Arabia battling the Iranian-backed Houthis in Yemen and Iran fighting Saudi-blessed proxies in Syria. However, nowhere is the Arab-Persian divide (often religiously connoted as the Sunni–Shia divide) more apparent than in Pakistan where both Saudi Arabia and Iran have continued to wage a proxy war by investing in religious seminaries and militant outfits, fanning intense sectarianism in the country. In the wake of recent political changes in the Middle East, both Saudi and Iranian diplomats have rushed to Pakistan to guarantee its support. However, devastated from sectarian strife in the country, for the first time Pakistan has demonstrated neutrality in the Middle East, a position that has been heavily criticised and viewed with disappointment by the Arabs. For Pakistan, even slight involvement in Middle East affairs means putting hard earned stability into jeopardy. This is something Pakistan can ill afford with a counterinsurgency underway and challenging economic conditions that have stalled GDP growth at 3%. Also, with the shift in US foreign policy towards Iran, Pakistan has more reason to remain neutral and potentially benefit from the lifting of sanctions. The Iran-Pakistan gas pipeline that was previously blocked by the US is already underway, with the hope that it will help stabilise the energy-starved Pakistani economy. The second driver that is forcing Pakistan to reconsider its policies is the looming threat of ISIS. The militant movement has declared its intentions to penetrate Pakistan; a country targeted by militant Islamist organisations due to its nuclear capacity and a sizeable population with an appetite for establishing a global Khilafat. The Pakistan security establishment has been quick to recognise the threat given that recent suicide attacks in the country have been inked to ISIS. As a result, Pakistan's security establishment has revisited its long held strategy of turning a blind eye to anti–American and anti–Indian militants operating within its borders. This policy has destabilised both Afghanistan and India. Now evidence of the shift can be seen in various ways including: the recent push to bring the Taliban to the table for peace-talks; rooting out elements targeting American and Afghan forces in Afghanistan; and, more importantly, the recent sharing of intelligence with India on the Pathankot attack. The new mindset of Pakistan's security establishment recognises the potential danger should ISIS spread in Pakistan's lawless regions, cities and towns. Amid concerning reports of security and political struggles that threaten to unravel the progress made thus far in Afghanistan, the question arises: what is to be done? The answer, at once simple and difficult, is to help the Afghans prevail. We, Americans, our international partners in Afghanistan, and the Afghans themselves have too much at stake. We deserve a strategy that is geared toward success and commensurate with what is at risk. Fatigue is more than understandable, but is not the basis for good policy that protects our interests. US and international engagement in Afghanistan should be seen in the context of the distorted and violent Islamic ideology—now manifest from Asia to Africa—that threatens our citizens, our values, and our way of life. Substantial bipartisan agreement exists among an array of senior figures and policy experts on the case for sustained US commitment to Afghanistan. It is to be hoped that such bipartisan support will extend to the presidential campaigns as well, and that our next President will not have an Afghanistan crisis on his or her desk upon entering the Oval Office. The years 2014 and 2015 were marked by enormous political, security, and economic transition and uncertainty for Afghanistan. Doubt about an enduring US military presence encouraged Afghanistan’s enemies, discouraged and confused our friends, and led to hedging by regional actors. US commitment is a vital currency in the world. Clarity about our intent induces confidence in our partners and hesitation among our adversaries. Now, with US President Barack Obama’s October 2015 decision not to complete the withdrawal of US forces as planned, there is clarity that there will be a significant US military role in Afghanistan without time limit. This is a vital indicator of US commitment to Afghanistan’s security and success. The political task now is to leverage that clarity to provide Afghans confidence that they can succeed, and to demonstrate to the Taliban that they cannot. This will in turn promote peace and stability in the region. It must be clear that there will not be space in Afghanistan for al Qaeda and Daesh [also known as the Islamic State of Iraq and al-Sham (ISIS)] to flourish, nor place for the Taliban absent a political settlement. What can we do to increase the chances of prevailing? First, we must increase the salience of the US and coalition military and intelligence commitment to Afghanistan. There should be no reduction from current troop levels until conditions and Afghan capabilities permit. Financial support from the United States and its partners is crucial. Critical gaps in close air support, intelligence, and logistics must continue to close, not widen. Second, we must expand our commanders’ authorities to enable more flexible use of our military, especially air power, in support of the both the Afghan security forces and the counterterrorism mission. The recent decision to target Daesh in Afghanistan is a proper recognition of the threat. NO COUNTRY LIKES having enemies on its borders. Big powers seek to dominate their neighborhoods. Recognizing this drive is essential to understanding the world. The United States assured its security in North America long ago. Native Americans were suppressed and big-power rivals faded. Vast oceans protect us from most adversaries. We are blessed with what geo-politicians call strategic depth. Few countries appreciate the value of strategic depth — and the cost of its absence — better than Russia. It has long experience with European invaders, from Napoleon to Hitler. The desire to prevent further invasions led the Soviet Union to subjugate countries in Eastern Europe after World War II. Americans interpreted these moves as the beginning of a Soviet drive for global power. Above all, they were aimed at establishing a band of subservient buffer states to protect the Soviet Union from attack. Russia still views the world through this lens. It saw NATO’s decision to position military forces along its borders in the 1990s as highly threatening. Today, more able to resist, Russia insists on preventing American troops and nuclear weapons from being deployed in other neighboring states. That is why it is ready to use all means necessary to prevent Ukraine and Georgia from joining NATO. Any Russian leader who did otherwise would be reviled for undermining national security and exposing his country to danger. China also recognizes the importance of strategic depth. Its efforts to secure the South China Sea are aimed at giving it a corridor of power beyond its own mainland. The United States sees these efforts as aggressive and expansionist. We react by redoubling military support for China’s neighbors and helping them resist Chinese ambitions. That weakens those neighbors’ willingness to accommodate China’s interests, which they might feel inclined to do if we were not subsidizing their defense budgets. Iran’s policies in the Middle East are another example of the strategic depth doctrine in action. Most Iranians are Shi’ite Muslims. Militant groups in Iraq and Syria consider Shi’ites to be infidels and want to kill every one. Waiting patiently until these groups — ISIS and Al Qaeda — approach the Iranian homeland would be unwise. That is why Iran supports groups fighting against militants in Iraq and Syria. Americans are told that this is part of an Iranian effort to take over the Middle East. It is better understood as forward defense against sworn enemies. COMPETITIVE MOBILIZATION: HOW WOULD WE FARE AGAINST CHINA? Earlier this year, War on the Rocks contributors David Barno and Nora Bensahel argued that U.S. policymakers and military planners should think about how to prepare for the next big war. Their stimulating essay identified six gaps — munitions, weapons platforms, manpower, planning, technology, and stamina — that a big war against a peer competitor could reveal. This important article is a call for the United States to improve its planning for mobilization. Part of such planning should consider the competitive aspects of mobilization. In war, mobilization will favor some players and disadvantage others. Mobilization can be a risky, even debilitating act. By fully understanding the competitive aspects of mobilization, decision-makers can tailor mobilization to their advantage, exploiting relative strengths while avoiding vulnerabilities. Crucially, U.S. officials can substantially reinforce deterrence by publicly displaying an understanding of the competitive aspects of mobilization, including how the United States would employ its competitive advantages against adversaries during a prospective mobilization. As we will see, the United States has experienced both the benefits and perils of mobilization, along with missed opportunities for enhancing deterrence. Mobilization entails the substantial and exceptional displacement, through either government conscription or bidding, of a country’s labor and productive capacity that would otherwise naturally go to civilian purposes. For the purposes of this article, mobilization extends beyond calling up reserve forces for active duty. Indeed, the U.S. reserve components have been an “operational reserve” for 15 years (and longer than that for the U.S. Air Force), regularly and continuously augmenting ongoing operations. If that assertion was beyond question, Barno and Bensahel need not have bothered writing their article. But if there are doubts about U.S. preparations for war against looming peer challengers, policymakers and planners should ponder the competitive aspects of mobilization. Let us assume, contrary to the 2014 QDR, that standing U.S. forces (active and reserve) are revealed to be inadequate for a “big war” with a peer adversary. Insufficient force structure, higher-than-expected attrition, ineffective operational concepts, misjudged inventories, and more combine to require some form of mobilization. What should decision-makers know about mobilization before they reach this point? 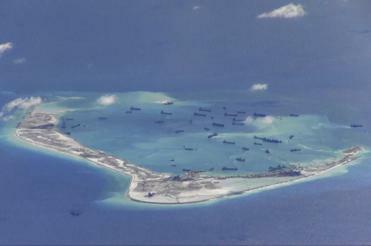 Beijing is further fueling the militarization of the South China Sea. The HQ-9 missile launcher episode, which erupted barely a month ago, has somewhat subsided. But the long-term implications of this deployment should not be overlooked. Beijing had parried accusations of militarizing the South China Sea (SCS), with Chinese defense authorities calling such deployments “lawful and reasonable development of defense facilities.” But how reasonable can such moves be, when it is plausible that the HQ-9 only presages what is in store for SCS peace and stability in the long run—that of a growing Chinese surface-to-air missile (SAM) threat in the disputed area? A Strong Pretext for Beijing? In January, the People’s Liberation Army Navy (PLAN) chief Admiral Wu Shengli issued a veiled warning that the amount of military facilities China builds in the SCS depends on the threat level. In fact, China has long lamented the United States’ persistent military surveillance activities. After the HQ-9 deployment emerged, Beijing justified its actions with American military activities which had taken place thus far, notably the B-52 strategic bomber flypast in late 2015 that came close to China’s artificial islands, which Chinese defense authorities condemned as a “serious military provocation.” But the PLA would have to contend with the frequent presence of U.S. Navy maritime patrol aircraft, a prospect which is further raised following an agreement to rotate P-8 Poseidon flights out of Singapore, as well as patrols by Washington’s allies including the Australians and Japanese. The HQ-9 deployment is therefore a manifestation of Beijing’s pent-up frustration over such activities. Not backing down in the face of criticisms, not long after the HQ-9 deployment, PLA fighter jets deployed to Woody Island in a demonstration of Chinese resolve. To deal with pesky foreign surveillance planes, SAMs may provide the PLA more options and greater flexibility in calibrating its response—all at lower costs compared to having to scramble interceptors and burn expensive jet fuel. Should the HQ-9 prove sufficient, then, interceptors need not scramble and engage in potentially dangerous encounters similar to the one in August 2014, in which a PLANAF J-11BH allegedly made threatening close-proximity passesduring an intercept of a P-8 off Hainan Island. In 2013, the Council on Foreign Relations (CFR) Contingency Planning Memorandum "Political Instability in Jordan" warned that the biggest threat to the stability of the Hashemite Kingdom stemmed from local grievances eroding the regime's core tribal base of support. Although economic privation, the slow pace of reform, and a widespread perception of corruption remain significant sources of popular frustration in Jordan, the palace has since vitiated its most potent tribal and Islamist domestic political opposition, the Muslim Brotherhood. But as the risk of domestic unrest has diminished, the potential for spillover from the Syrian conflict has grown, posing an increasing threat to Jordan. Jordan has a long tradition of providing sanctuary for refugees, but the kingdom has reached the saturation point. Syrian refugees in Jordan—currently around 1.4 million—constitute a significant source of instability in the kingdom. Only half are registered with the Office of the UN High Commissioner for Refugees (UNHCR) and less than 10 percent live in formal refugee camps; the majority are spread throughout the country. The refugees—13 percent of Jordan's population—are a major burden on Jordan's weak economy. In 2015, the costs of hosting refugees were equivalent to 17.5 percent of the country's budget and a significant contributor to Jordan's $2 billion deficit. Moreover, Jordan's economy has little room to accommodate the refugees. Its unemployment rate is 12 percent, and its youth joblessness is 30 percent. Refugees competing for scarce jobs could fuel further social tension. The Mosul Dam undergoes strengthening late last month. There is a powerful symbolism in the impending collapse of Iraq’s Mosul dam. Built on the cheap by Saddam Hussein in the early 1980s, it holds back up to 2.9 trillion gallons, roughly twice as much as Lake Pontchartrain in New Orleans. We all know what happened when Hurricane Katrina breached the levees around Pontchartrain’s south shore in 2005. No hurricane is needed to breach the Mosul dam. Built on a weak foundation of soluble gypsum, its stability has always depended on continuous grouting. In 2007 the US Army Corps of Engineers, alarmed by what they had found after the invasion of Iraq, carried out repairs. But since the withdrawal of American forces, the dam has deteriorated. For several weeks in 2014 it came under the control of the Islamic State. Fighting between ISIS and Kurdish Peshmerga forces is just one of the reasons the dam has fallen into disrepair. A contract with an Italian engineering company to overhaul the dam has only just been signed by the Iraqi government. The irony is of course that a humanitarian catatrophe of epic proportions is already happening in neighboring Syria. According to the Syrian Center for Policy Research, the death toll in the country’s civil war now stands at 470,000. The war has driven 4.8 million refugees to flee Syria, according to the United Nations High Commission for Refugees. And Syrians form only a part of the flood of displaced persons and migrants currently arriving in Europe by sea at a rate of roughly 100,000 a month. Last month around a third of asylum applicants in Germany were from Syria. 15 percent were from Iraq. 11 percent were from Afghanistan. As secretary of state at the time of the invasion of Iraq, General Colin Powell famously warned “If you broke it, you own it” — the Pottery Barn rule. Future historians will struggle to decide which was more disastrous: President George W. Bush’s decision to “break” Iraq by sending the US military to overthrow Saddam Hussein, or his successor’s decision to call for the overthrow of the Syrian dictator, Bashar Assad, without willing the means, while at the same time withdrawing US forces from Iraq and Afghanistan. Either way, this is where we are: Afghanistan, Iraq, and Syria are all broken. But President Obama doesn’t want to own them. The crucial point, symbolized by the Mosul dam, is that this could all get much, much worse. Source: EIA, OPEC (excluding Iran) net oil export revenues,https://www.eia.gov/beta/international/regions-topics.cfm?RegionTopicID= OPEC , March 31, 2015; and Oil and Gas Journal, http://www.ogj.com/articles/2015/04/eia-opec-s-net-oil-export-revenues-d... .
After five years of brutal fighting and two weeks of a scrappy ceasefire, President Vladimir Putin has suddenly announced that “the main part” of Russia’s forces currently in Syria will begin to be withdrawn. Assuming this is not some public relations stunt (and if it is, it will very quickly become clear, seriously damaging Moscow’s credibility), then it represents a shrewd and pragmatic move. They will not go quickly, and it is still unclear quite who will be leaving and who will stay. The Tartus naval resupply station will remain in Moscow’s hands — presumably with some security forces — and so will the Hmeymime (Latakia) air base, implying that there will still be some Russian bombers along with their flight and technical crews, guards and commanders. However, the creeping expansion of the ground forces contingent within the expeditionary force — first some Spetsnaz special forces for spotting, next some extra tanks, then heavy artillery — is presumably going to be reversed. This way, not only does Russia make itself less vulnerable to attacks from insurgents, it also sets aside the temptation to get more deeply involved in the fighting. This was not a casually chosen timeframe: 10 years is how long Soviet troops were mired in Afghanistan, another intervention that was expected to be short-lived and uncomplicated and turned out to be anything but. Politicians tend to find it easier to start wars than to end them, to escalate rather than to withdraw. For a leader who clearly relishes his macho image and who has been articulating a very aggressive foreign policy in recent years to opt for such a stand-down is a striking act of statesmanship. That said, Putin’s announcement that “the objectives given to the Defense Ministry and the Armed Forces as a whole have largely been accomplished” is probably accurate. This intervention was, after all, never about “winning” the war in Syria: even the most starry-eyed optimist would not expect a relative handful of aircraft and ground forces to end this bloody and complex conflict. Nor was it primarily to save Bashar al-Assad’s skin and position. Since 2008, as part of its ongoing military reform, Moscow has embarked on a large-scale program of naval expansion intended to recapitalize its ailing shipbuilding industry and rebuild and modernize its fleet. Despite substantial efforts to make good on its naval modernization plans, including significant state spending, what has been delivered thus far has fallen well short of expectations. While official Russian rhetoric routinely proclaims that the fleet is undergoing a major renaissance, in reality Russia’s shipbuilding programs have been severely hampered by enduring problems, including budget shortfalls, underinvestment in naval R&D, poor design, obsolescence in its shipbuilding industry, system-integration challenges, reduced access to foreign technology, and widespread corruption, among other problems, all of which have led to long-standing delays in several naval programs and outright cancellation of others. A particularly important case in point is the seemingly endless project to build a new blue-water ship: the Admiral Gorshkov–class frigate. Download PDF file of "Admiral Gorshkov Frigate Reveals Serious Shortcomings..."
Is Ukraine's Military Ready for a Fight? Two years ago, the Ukrainian military found itself badly outmatched and unprepared to fight Russian special forces who quickly took over the Crimean peninsula. They also struggled against Moscow-backed separatists in the Donetsk region of Eastern Ukraine in 2015. While Kyiv is finally getting much-needed training and limited support to its various military and security branches from NATO, its forces are far from reaching the desired degree of readiness to take on its security challenges. Among Ukraine's problems is a lack of modern equipment and professional service capable of dealing with advanced Russian weapons and tactics. Trying to reverse these developments, Ukrainian Interior Minister Arsen Avakov recently stated, during a televised address on Ukraine's 1+1 network, that his country needs to modernize its military in order to return Crimea to Ukraine. According to Avakov, "Ukraine will have to recreate and rebuild the army, the National Guard and the police, since the country had virtually nothing prior to the start of hostilities. ... and then, by our will, the Crimea will be with us -- in this I have no doubt." He added that the Ministry of Internal Affairs of Ukraine, along with Ukrainian lawmakers, is working on creating a special National Guard unit in order to be "ready for the return of the Crimea." According to the minister, Ukraine failed to defend Crimea two years ago because of the Kharkiv Agreements signed by previous Ukrainian President Viktor Yanukovych -- the man who was chased out of his country to Russia by the Maidan protests, an event which in turn triggered Russia's military involvement. Avakov criticized the agreements for allowing Russia to significantly increase its military presence on the peninsula prior to the takeover: "We could not do anything when the Russian planes landed at the Crimean airfield, because Yanukovych signed the agreement." The same TV program featured Ukrainian Foreign Minister Pavlo Klimkin, who spoke on the information methods to return the peninsula to Kyiv. According to Klimkin, the inhabitants of the peninsula should be shown the advantages of living in a democratic and European country, which is what Ukraine is today as it seeks to join the European Union: "The residents of Crimea are under fierce (pro-Russian) propaganda, we must show them by our example that their future is in the European democratic Ukraine and not in Crimea under Russian occupation, where they can go nowhere." As Russian daily Moskovskiy Komsomolets noted, the Crimean peninsula became part of the Russian Federation following the results of the 2014 referendum after the annexation of the region by Russian special forces. According to Moscow, the region's reunification with Russia was supported by nearly 96 percent of the population -- a fact that Kyiv and a number of Western countries have refused to recognize, instead imposing sanctions against the region and Russia. Recently, Russian Prime Minister Dmitry Medvedev said that the question on the status of Crimea is "closed forever -- the peninsula is part of Russia." Ever since the annexation of Crimea in February-March 2014, and the conflict in Eastern Ukraine, military analysts have debated the nature of ‘hybrid war’ – or ‘non-linear’/’ambiguous warfare’ – and whether it represents the military strategy of choice for Vladimir Putin’s Russia. The Polish,Estonian, Latvian and Lithuanian militaries in particular are using Ukrainian-style scenarios involving internal subversion and incursions by ‘little green men’ for defensive exercises, and pundits fear that ‘hybrid warfare’ may be exploited by Russia to weaken the alliance cohesion of NATO, threatening its outliers such as the Baltic States, and playing on the apparent unwillingness of European publics to honour Article Five in the event of Russian aggression against an Eastern member of the Alliance. Information operations – or ‘propaganda’, to use the old-fashioned term. Russia and its state media concoct a narrative that disguises Moscow’s involvement in the subversion of a neighbouring state, blaming a crisis on internal factors so as to deflect any international condemnation. The takeover of Crimea by Russian naval infantry and spetsnaz (‘special designation’ troops) in unmarked uniforms was depicted by Russia as a spontaneous revolt by local citizen militias, while the revolution that overthrew Viktor Yanukovych in February 2014 in Kiev was portrayed as a ‘fascist’ putsch. Political intrigue – Russian operations in Ukraine have been accompanied by a constant diplomatic and political effort to encourage discord between NATO and EU member states, to play on national differences over contentious policies (notably the economic sanctions imposed on Russia from the spring of 2014 onwards), and also to buy or suborn support by populist political parties on the far-left and far-right who will act as apologists for Russia’s actions, muddying the waters and confusing the public debate. Moscow will also try to exploit public concern in Western Europe about the risks of a potential confrontation with Russia. The use of special forces – the spetsnaz of the GRU (Russian military intelligence) and the elite units of the Russian armed forces are used either in plain clothes to organise separatist militias (as per the ‘Donetsk’ and ‘Luhansk People’s Republics) or in unmarked uniforms to seize government buildings, military bases and other key locations from indigenous security forces, and to prop up a ‘pro-Russian’ administration that will automatically appeal for help from Moscow. The use of ‘little green men’ rather than an overt invasion by regular troops will confuse the international community, leading to prolonged debates about whether an act of state-on-state aggression has actually occurred, paralysing any Western military response until the Russians and their proxies have consolidated their position on the ground. Sabre-rattling – at the background of these operations Russia will mobilise its military forces, massing them on the borders for ‘exercises’ just as it did with Ukraine in the summer of 2014. Threats of escalation will be used to frighten the adversary and its allies, to undermine any will to stand up to Russian incursions, and also in an effort to intimidate weaker alliance partners. Flights by Russian aircraft into foreign air-space have also been used as a tactic to bully neighbours as well as NATO states. The most obvious flaw in Japan’s nuclear policy — reprocessing nuclear waste — receives the least attention. Last Friday marked the fifth anniversary of the disastrous Fukushima nuclear meltdown. The disaster, which killed 1,876 and displaced nearly 120,000, is the world’s second most destructive nuclear accident in human history and remains a highly sensitive and contentious issue between the Japanese public and the central government. Moreover, while many of Japan’s nuclear reactors remain switched off, the recent push by the Abe administration to reinstate nuclear power back in Japan has reignited the outrage of the usually docile and politically-inactive Japanese people. The focus of these debates, however, has largely been directed at whether Japan should possess a nuclear energy program at all. Yet this debate inevitably draws attention away from a much more obvious flaw in the nuclear policy of the Abe administration — namely, its reprocessing program. Unlike the standard ‘once-through’ nuclear fuel cycle, Japan’s policy is to ‘reprocess’ the waste produced by its thermal nuclear reactors. Basically, this entails taking spent nuclear fuel and recycling it to be used once more in the reactor. Conceptually, the prudence of the policy seems clear. The official justification for Japan’s reprocessing program is primarily to save on its uranium consumption. The story goes that reprocessing allows the nuclear plants to use something called ‘MOX fuel’ in its reactors instead of the standard low-enriched uranium (LEU). Terrorists are communicating over a new secure Android app after getting kicked off WhatsApp, Telegram, and other messengers. Called “Alrawi”, the encrypted chat app makes it harder for governments and security agencies to spy on terrorist plans. It was discovered by counter-terrorism network known as the Ghost Security Group, which Fortune reports had previously flagged ISIS communications over Telegram. Though supposedly not as advanced in its security as WhatsApp or Telegram, it still shields users from having their texts intercepted. And without a reputable company behind Alrawi, there’s no one to ban ISIS from using it. Alrawi can’t be downloaded from Google Play. Instead it must be installed from shady back alleys of the Internet. This raises the question of how far mobile platforms are willing to go to fight terrorism. Governments are pushing for backdoors through encryption, but perhaps there’s another way to keep people safe without violating privacy for everyone. Apple and Google could easily kick apps used to organize violence out of their official app stores. But would they be willing to build further barriers to usage directly into their mobile operating systems? Author Fred Kaplan details how the US has quietly amassed the power to hack the world but has failed to create a plan for deterring similar attacks on US soil. A hacking attack on a Las Vegas hotel company. A power grid blackout in the Ukraine. A series of industrial accidents at an Iranian nuclear enrichment lab. What do all these things have in common? They were likely the work of foreign governments with a political ax to grind. Welcome to cyberwar. You likely will soon hear more about this new weapon, as the US government becomes more open about its ability to hack targets in other countries, damaging their power grids, dams, factories and key computer systems. Slate national security reporter Fred Kaplan describes this world in "Dark Territory: The Secret History of Cyberwar," a book released earlier this month. He charts the growth of the US government's hacking abilities, culminating in the creation of the US Cyber Command, which links the National Security Agency's spy prowess with the might of the US military. But for all the damaging hacks the US government could carry out, Kaplan contends with the startling reality that the US is at risk of all the same attacks. While it might not be the world of mutually assured destruction faced during the Cold War, cyberwar clearly presents as many dangers as it does opportunities for the countries that engage in it. Kaplan spoke with CNET about why this world has remained in shadow for so long, what could deter cyberattacks in the future, and why public debate will help. Q: Cyberwar is hard to define. Why do you think that is? Kaplan: Right now there isn't much distinction between cyberwar and cybersecurity. It was decided a few years ago the best way to forestall an attack was to know when the attack is coming. You get inside the networks of your prospective opponents. It's the digital equivalent of having spies on the ground. The dangerous thing is, it's only one step between that and launching a cyberattack. They could attack us with very little notice, and we could attack them with very little notice. If you're worried that the other side is going hack our infrastructure first -- making it much harder to defend ourselves -- there's an incentive to go first. You write that there is no good strategy for deterring cyberattacks. Why is deterrence so hard? Kaplan: Part of the problem is that all of these issues have been entangled from the beginning with the National Security Agency and similar agencies, which are all extremely secretive. Contrast that with the nuclear standoff of the 20th century. From the beginning, you had people engaging in conversation about strategy: "How do you not just fight, but deter another country from blowing us up?" The fuzzy international guidelines and norms for conflicts carried out online. Utilities could be targets in cyberwar. Sometime in late 2013 or early 2014, hackers infiltrated the business network of a German steel plant, disrupting critical systems and causing massive—albeit unspecified—damage by manipulating the control system of a blast furnace. Then, in 2015, malicious code attacked the power grid in the Ivano-Frankivsk Oblast in Western Ukraine, shutting off power for several hours. At the time, Ukraine was embroiled in an armed conflict with Russian-backed rebels. These were not isolated incidents. Conflicts in cyberspace and cybertactics used in conventional (that is, physical) conflicts are both happening, and with increasing frequency. According to data collected in an ongoing project at New America, where I work, there have been 61 cyberattacks conducted by states against other states during peacetime and an additional 24 during wartime since the late 1980s. (New America is a partner with Slate and Arizona State University in Future Tense.) But are there rules for cyber in war? And what about conflict in cyberspace? If so, what are they? Where have they come from? Generally, a loose amalgamation of existing law and norms, combined with developed and developing cyber-specific norms, attempt to govern state action in cyberspace. If we are to accept, as many have argued, that cyberwar is only a very minute portion of state behavior in cyberspace, then of particular interest for cyberwar are two existing bodies of law and their cyber-specific adaptations: jus ad bellum and jus in bello. Because it’s far more straight forward, let’s start with jus in bello. Jus in bello, Latin for right in war and also known as international humanitarian law, aims to constrict how states fight—thereby constricting the potential destructiveness of war. It does so by stipulating constraints like what assets cannot be targeted (like hospitals and refugee camps) and what weapons cannot be used (like chemical-tipped missiles). While the details are nearly endless and spread across a number of conventions—including the Hague Convention of 1907, the United Nations Charter, and the 1949 Geneva Conventions—three key, high-level principles underpin the laws of war: military necessity, distinction, and proportionality. Defense Secretary Ash Carter disclosed last week that the Pentagon’s new high-technology weapons to deal with threats from China and Russia will include ultra-high speed missiles. Days earlier, the general in charge of Air Force weapons research, Maj. Gen. Thomas Masiello, revealed that two technology prototypes of hypersonic strike weapons, a scramjet powered cruise missile and a hypersonic glider, could be ready in four years. “We’re looking for more singles, base hits, versus trying to go for a home run,” Masiello said of hypersonic missile development during a conference Feb. 26. The effort will build on several tests in recent years of a Boeing X-51 scramjet hypersonic missile. The X-51 had one successful flight out of three tests and reached speeds of over Mach 5, or 3,836 miles per hour. An Army hypersonic missile test designed to glide to its target after launch on a booster rocket blew up shortly after launch in August 2014. That missile concept is part of the Pentagon’s “prompt global strike” program that will receive $181 million this year. Masiello said past X-51 tests should not prompt an end to hypersonic arms development. “You have to build an environment that allows failure because if you don’t you’re not going to be pushing the boundaries of technology,” he said. Though the latter characteristic is the most compelling, it is important to note that the other future OE characteristics would indeed be exacerbated by the conditions found in dense urban areas (DUA). This paper provides a relevant analytic framework in support of framing, mapping, and developing courses of action (COA) for operations occurring in DUA today and in the future. Discussion regarding DUA-oriented environments usually center on the roughly 28 megacities on the planet today. However, the increasing global pace of urbanization is not confined to just a megacities issue or perspective; recent United Nations studies portend a 60% population surge in urban areas by 2030. [iv] Despite the scale and complexity of the world’s megacities, there are almost 850 cities with populations between 500k and 9.9m – in essence, “middleweight” cities[v] that also represent interactively complex operating environments. Environments which may feature a dense and diverse population mix; further complicated by the potential for loose integration[vi], a multitude of networks, and potentially volumes of big data[vii] that present noteworthy challenges for information collection, much less its parsing, characterization, and understanding. According to the National Intelligence Council’s Global Trends 2030: Alternative Worlds, precipitous changes in world demographics are expected to perpetuate significant changes, or megatrends, in the world’s diplomatic, economic, and military power. [viii] Such change may undoubtedly lead to a potentially volatile and uncertain security environment where US interests and related national security concerns are increasingly vulnerable to a variety of actors and a range of threats. [ix] In accepting that cities/dense urban areas represent the nexus of the megatrends alluded to above, the potential for US forces to operate in DUA is significant today and increasingly probable in both the near and far terms. Which presents the following questions, how do US forces develop critical situational understanding of such environments, and what would constitute a viable analytic framework for developing and placing that understanding into relevant and applicable context?